Nucleoside and nucleotide are commonly used terms with regards to the molecular and structural components of the nucleic acids, DNA and RNA. They are often used interchangeably, however, they are quite distinct entities. 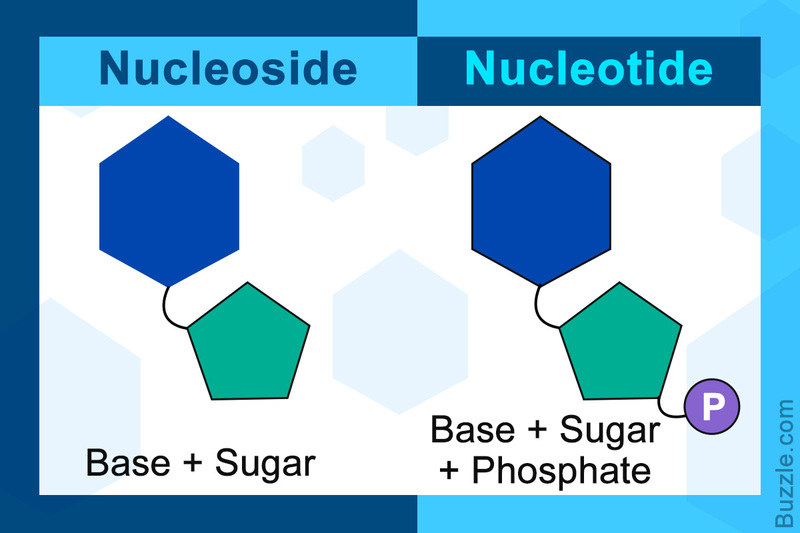 BiologyWise lists out all the differences between nucleosides and nucleotides. 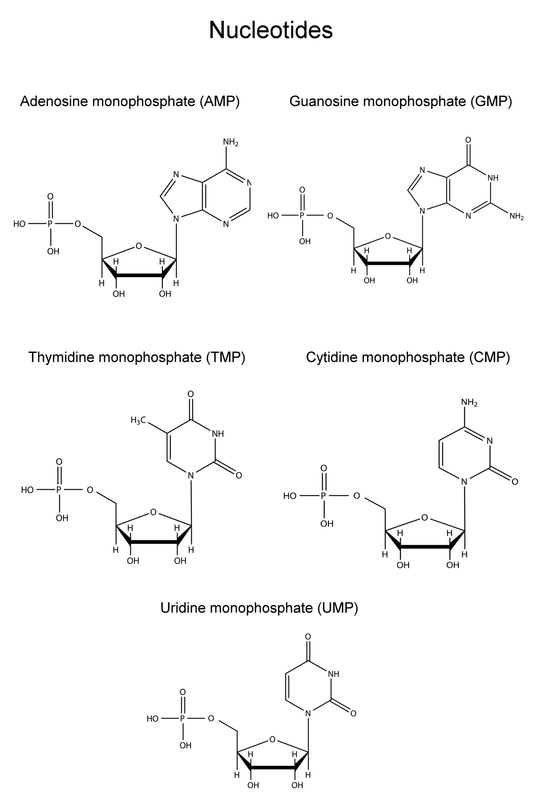 Phosphorylation of nucleosides by specific kinases produces nucleotides, which when treated with hydrolytic nucleotidase enzymes break down to yield nucleosides. Nucleotides and nucleosides form the key structural elements of genetic material. They are the building blocks of DNA and RNA, which are vital molecules in all living cells, as they encode all the information required for a cells survival, growth, and reproduction. The difference between those that make up the DNA and those that constitute RNA is that the pentose sugar contained in these molecules is ribose in case of RNA, and deoxyribose in case of DNA. This helps differentiate between the nucleic acids, but not the components itself. These components are highly similar with only one structural difference. But this minor dissimilarity translates into a vast difference in the functionality and applicability of these two molecules. 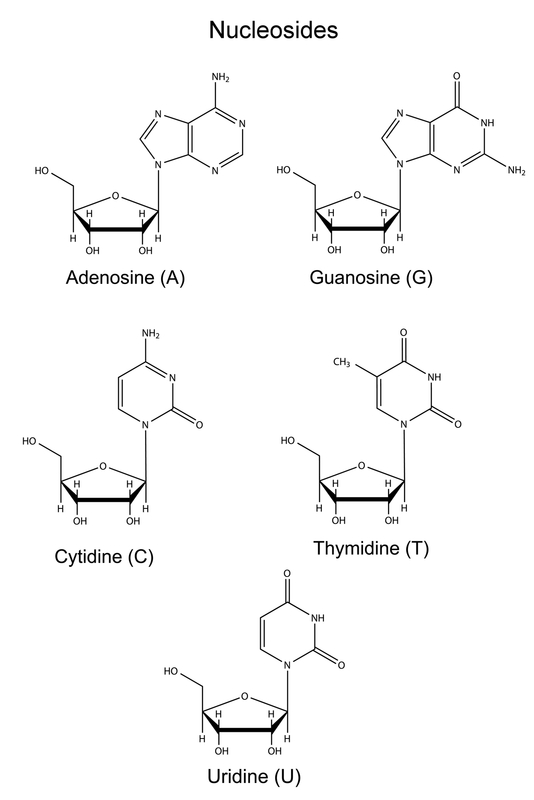 While only nucleotides exhibit a major in vivo biological function, nucleosides present in vitro applications. ➤ 5'-phosphate esters of nucleosides. ➤ Nucleoside analogs are used as anticancer and antiviral agents. ➤ Dysfunctional nucleotides lead to accumulation of DNA damage, eventually leading to the onset of cancer. In conclusion, the two terms are differentiated by just the presence of one or more phosphate groups. Despite the minor dissimilarity, the functionality is greatly dissimilar as the phosphate group activates the sugar and nitrogen base complex and allows it to bind to other bases via the help of phosphodiester bonds.